If you carry a passion for people and an aptitude for problem solving, you already possess some of the essential qualities of a great nurse. Nursing draws students into fulfilling careers where compassion meets proficiency. When it comes to providing the best care, SVSU offers BSN students the highest caliber of faculty, labs, clinical experiences and internships to prepare you for your future. That’s why we have become the largest pre-licensure nursing program in Michigan. Discover how SVSU is equipping tomorrow’s nurses. Email nursing@svsu.edu to schedule a personalized visit and tour of our nursing simulation laboratories. Meet in the lobby of Health and Human Services building. When you join SVSU’s Bachelor of Science in Nursing program, you become part of an academic cohort of students who navigate a rigorous nursing curriculum together over the course of four to four and a half years. Students typically take three to four semesters to complete all general education and pre-nursing courses and apply to the nursing program during their final semester of pre-nursing work. Once accepted, students complete the nursing program courses in two and a half years. Explore the full details of the program below. In every nursing semester, simulation is integrated into the topics covered each week to give you the opportunity to practice your nursing skills in a safe environment. Our nursing student mentors and tutors are available to help you make the transition as a professional nursing student during your first semester in the nursing program. They understand the challenges of being a new nursing student and will help you succeed. SVSU has state of the art simulation laboratories with a wide variety of high fidelity mannequins which are used to enhance learning. The nursing admission process is competitive and seeks well qualified candidates. In Heather Harvey’s mind, nursing always felt like the right fit. Her love of math and science, combined with her love of children, inspired Heather to pursue a career in pediatric nursing. Today Heather is a nurse for Borgess Medical Center, ranked as one of the nation’s high performing hospitals. Discover why Heather knew SVSU was the best fit for her college experience. As a nurse, you will find every patient you treat requires care for the whole person. 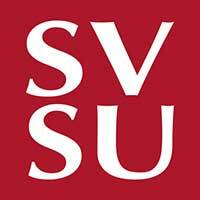 At SVSU, we work hard to engage your whole person throughout your education. With clinical placements at sites such as public health departments and regional medical centers for acute care, and study abroad experiences, you’ll not only graduate from SVSU with professional nursing knowledge and skills, but also with connections and a strong sense of direction. Each facet of health care thrives on the skill and commitment of great nurses. Nursing is critical care, the operating room, the medical-surgical areas, to cancer treatment and mental health and each nurse is a valued member of the health care team. As a nurse, you can work for a clinic, outpatient center, surgery center, home health agency, hospital or an educational institution. The choice is yours.